I refer to your story in yesterday’s edition of the Trinidad Express captioned “Has the work started” with regards to the mechanical and technical upgrades to the Galleons Passage in Cuba. 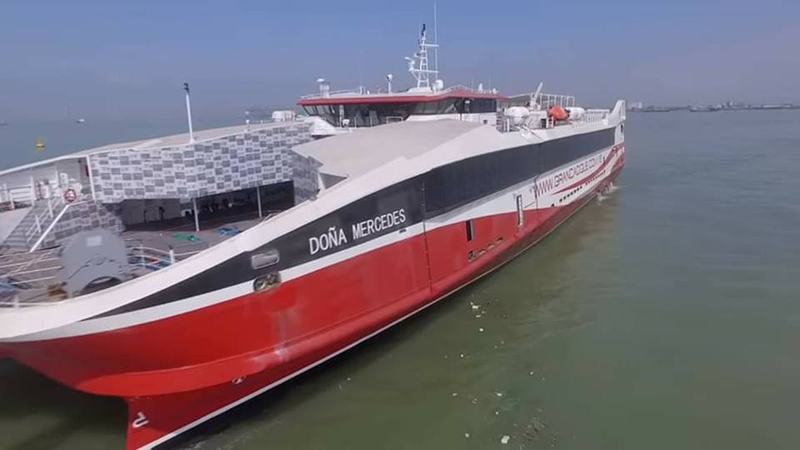 I must confess that I am a frustrated reader because the media continues to simply reproduce whatever information is forwarded to their newsroom by NIDCO or Finance Minister Colm Imbert about this vessel. I would have thought that the media would have opted to ascertain the actual facts and perhaps would have contacted Damex Shipyards in Cuba (website: www.damex.com/en/facilities). The ferry was announced as purchased in January, formally handed over to T&T in early February and was originally expected to be in Trinidad by the end of April – over 1½ months ago – expected to having by then traversed the Pacific, the Panama Canal, AND having been retrofitted for 10 days in Cuba. As is widely known, the ferry experienced numerous delays enroute so when it finally arrived in Cuba, the much touted retrofitting time escalated from the original 10 days to at least a month and now even that is indeterminate because of the latest excuses from NIDCO… that “approved drawings” are not available and “requisite materials” have not yet been sourced. How did Minister Imbert first come up with the original “10 days” estimate for the retrofitting of toilets, railings and canopies to begin with? That estimate HAD to have been provided by Damex Shipyards themselves and HAD to have been based on something in their possession. I put it to you that they have had from the beginning the blueprints of the ferry provided by the Seller and/or the builder in China, so they had to know exactly what would be required and how long the retrofitting should take, and it was based on this that the original 10-day estimate was given. That also means – and especially due to the extended delays the ferry experienced enroute – that the shipyard had over 3 MONTHS to procure the “requisite materials” for the retrofitting based on the original scope of work and on the blueprints provided, so the excuses from NIDCO about “approved drawings” and “difficulty sourcing requisite materials” ring hollow at best. I am attaching a copy of what is purportedly a summary page of the insurance report listing deficiencies found on the Galleons Passage when it was inspected in Honolulu. I believe it is the same document that Mrs. Kamla Persad-Bissessar referred to recently when she had questioned if the ferry had any safety problems that the Government was not making public. You will note that the summary specifically indicates that the vessel is missing firefighting equipment and appliances, various other unspecified safety deficiencies, and MOST importantly that it is MISSING auxiliary engines. THIS is likely the real reason for the sudden and extended delay in Cuba (you’ll note that now NIDCO will not give an estimate whereas before it was an easy 10-day job) and why “approved drawings” are not available and especially why the shipyard is having difficulty in acquiring “requisite materials”. Designing, fabricating and/or adapting and installing auxiliary engines on a boat the size of the Galleons Passage is not an easy task and it was a development that only arose AFTER the inspection in Hawaii. This is most probably why the shipyard is unprepared for the job and why work has not started yet; they need to inspect the vessel, figure out how and where to install the auxiliary engines, and then try to source appropriately sized engines and retrofit them for that installation. The identified deficiencies in the report would not be sufficient to curtail the ferry being sailed from China to Cuba because it had not yet been fully commissioned as a passenger ferry – it would have been covered under maritime “sea trials” operation rules, so Minister Rohan Sinanan’s protestations that if it had safety issues it could not sail are without merit. Plus it was no secret that once in Cuba it was scheduled for various upgrades, so a rider insurance policy would have covered such deficiencies, so once again Minister Sinanan’s protests are without merit. There is also the question of exactly how much more the Cuba retrofitting is going to cost, because even with the issue of the auxiliary engines aside, every day the vessel is berthed costs money and remember its now jumped from 10 days to at least 30 with an open ended completion date. The latest revelation from NIDCO is most intriguing of all; apparently the “requisite materials” for the retrofit are now being sourced in Holland and Australia. Really? What is the fascination that this administration has with Australia all of a sudden? And why is it necessary to go so far afield for toilets and tarpaulins and tethering rings for the decking? Surely these can be sourced right next door in Miami where they build all kinds of boats and yachts – why go all the way to Australia? Unless the reason is that they need more than just toilets and awnings – like auxiliary engines, for instance. Then everything begins to make more sense. I could go into far more about this ferry, but I will like the media to stop simply accepting the information coming from the Government and begin to do their own independent investigations. First on the list is a call to Damex Shipyards in Cuba.